We live in a country with multi-racial , multi-ethnics , multi-culture . 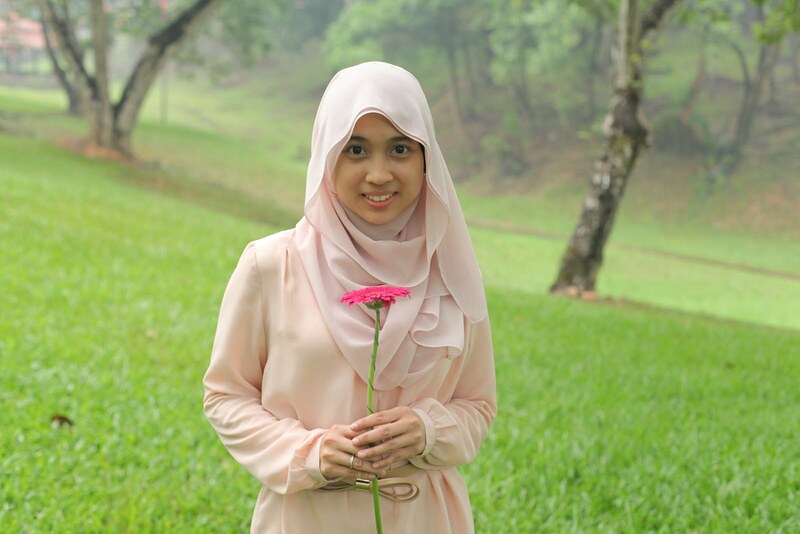 But, we still can live in harmony. Usually , what my company will do whenever chinese new year is coming are : there will be a fortune cookies , dragon performance , yee sang , we will wearing red or cheongsam and of course my chinese friends will bring lots of oranges . Oh, I do love oranges because it consists lots of Vitaman-C .
Yee Sang is a part of chinese new year celebration . 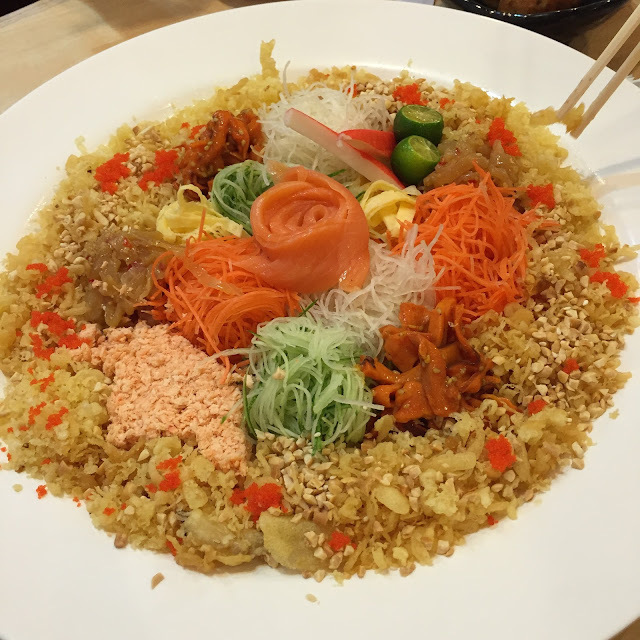 For chinese , they believe Yee Sang is a symbol of abundance , prosperity and vigor . 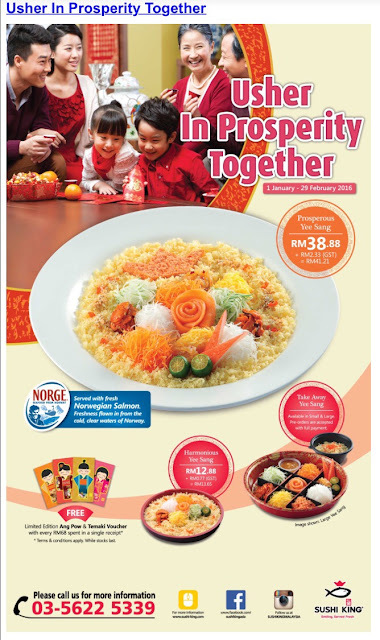 Every year , my company will be organize a yee sang celebration . But , because of our company consists of multi-racial staff , they need to prepare a halal yee sang for us Muslim can also be part of it . Interesting right ? Go taste it because it's only in a limited time . 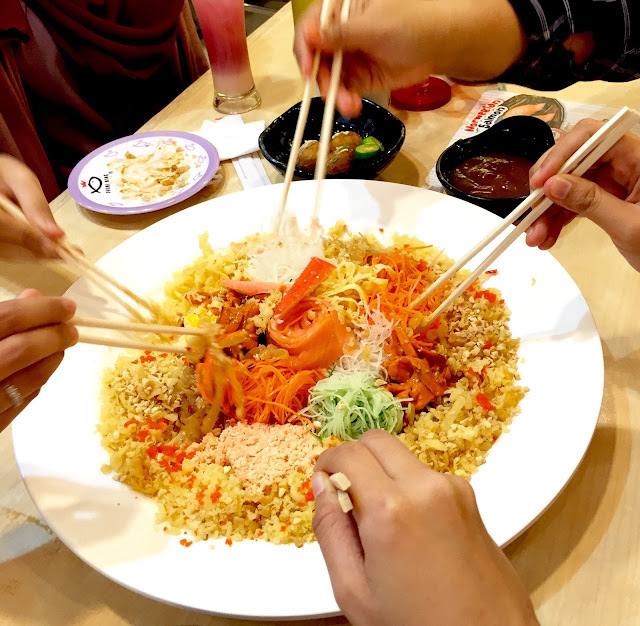 The sushi king yee sang only until 29th February 2016.
Who ever love sushi and love to learn how to make sushi . 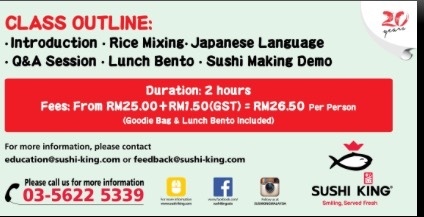 Sushi King have open a sushi making class you can join . 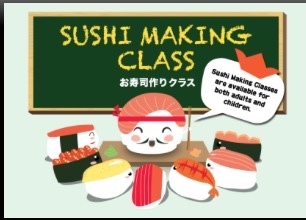 Who knows , after you enter this class maybe you can open a sushi cafe or restaurant . hihihi.